Offering the latest treatments for all endocrine disorders. 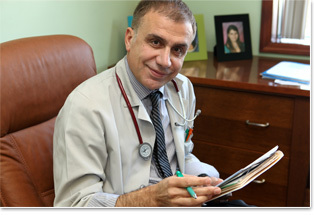 Specializing in disorders and treatments of the Endocrine system, which deals with medical problems and conditions caused by hormone imbalances, Dr. Muhrez treats patients with Diabetes, Thyroid Diseases, Osteoporosis, Menopause, High Cholesterol levels, Growth, Adrenal and Pituitary Disorders. 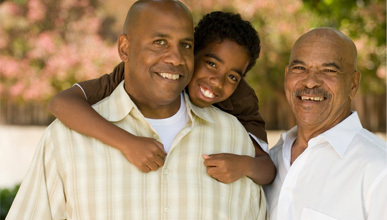 His goal is to provide the highest quality, most up-to-date care for his patients and their families. Preventive medicine plays a major role in the management of Endocrinological Diseases, especially Diabetes. Management, maintenance and prevention of complications associated with Diabetes are strongly emphasized in his practice. He stresses that each patient understands how the body and diseases influence personal health. For this reason, Dr. Muhrez places patient education at the core of treatment in managing Chronic Diseases. An educated patient is able to make decisions regarding their medical care much easier, making management of their condition more effective. Additionally, Dr. Muhrez exhibits a friendly, warm demeanor with his patients, which makes him a very well-liked and respected physician. For more information about Dr. Muhrez: download a printable PDF of his CV.